Locating underground utilities is becoming more of a challenge as the vast array of lines in the ground continues to increase. As the ground under our feet becomes more congested with utility lines, it’s vital to identify the location of utilities — gas, fiber, water, telecommunications and sewer — to ensure the safety of your crew and protect your bottom line. 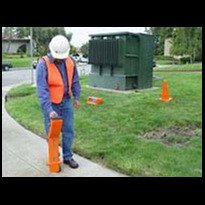 “These signals help identify the exact location of an underground utility.” Many utilities transmit a signal, and in some cases each line can have a different signal just like radio stations. However, some lines do not transmit a signal. In these cases, a transmitter can be used to induce a signal onto a metal line, which allows the locator to pick up the signal. There are basically two locating methods — active and passive. Active locating involves searching for a specific line using either the direct connection or inductive method. 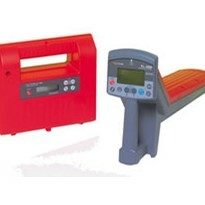 The locator is either attached directly to the line or, if you cannot make a direct connection to the line, a frequency is selected and induced into the ground and reradiated by the utility. 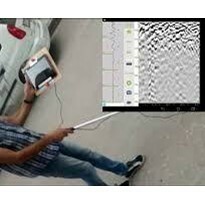 Passive locating is a method used by contractors to check the area for unknown lines. 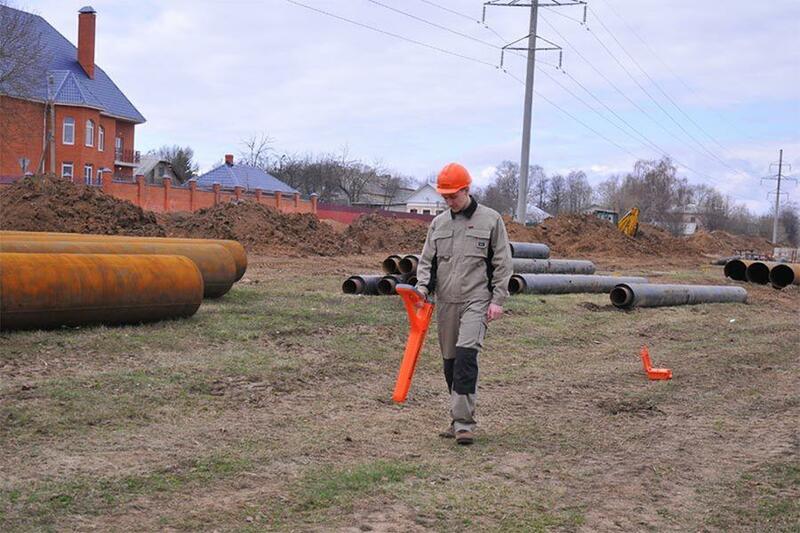 The contractor will simply sweep the area with the receiver looking for utilities that radiate or reradiate frequencies, but this method does not allow the operator to distinguish between the types of lines. 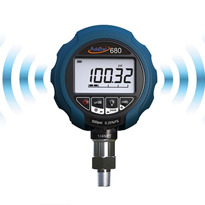 The industry offers two types of locators — single- and multiple-frequency units — to accomplish active and passive locating. Each unit has its advantages and limitations. Single-frequency locators have been around for decades. 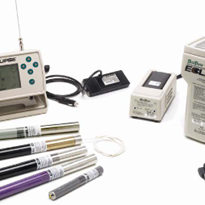 These systems consist of a transmitter that is placed on the ground and induces a single high-frequency signal. The signal is picked up by the underground line and then radiated back up to the receiver. Single-frequency systems work well on lines and pipes in non congested easements, but putting a high frequency into the ground has the tendency to light up everything underground and may produce a distorted signal. In other words, you cannot distinguish whether it is a power, gas or communications line. The other limitation is that single frequency locators cannot determine the depth of the line. 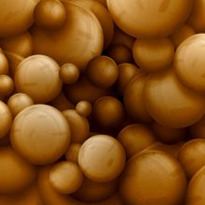 Since lines and pipes are constructed of different materials (copper, aluminium, iron, steel, etc. ), a higher or lower frequency may do the best job of locating them. Multi-frequency systems allow you to tune the frequency you are putting into the ground to the type of line or pipe you are trying to locate. The lower the frequency, the better it will stay on the line you are trying to locate, thus making the job of distinguishing a gas from a waterline easier. 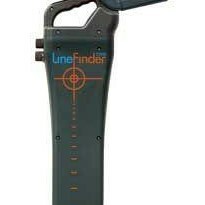 Some locators offer a current measurement index that measures the current you are putting onto the line. 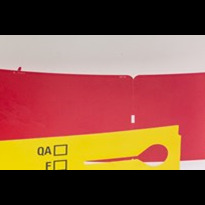 This helps distinguish the line, especially if it crosses over another line, and helps ensure you are staying on the original line to be located and are not jumping to other lines in the area. Most modern receivers today can also estimate the depth of the line or pipe at the push of a button. The locator measures signal strength and uses an algorithm to convert this information into an estimated depth. However, interference can distort the depth estimate. Despite the possible inaccuracy, the estimated depth gives the contractor an idea of the location of the line or pipe as they hand dig or excavate the area with a vacuum. 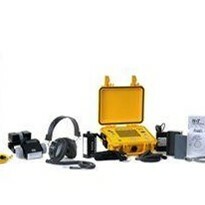 If a contractor is conducting the active method of locating, there are different ways to put the locator signal on the line or pipe. Direct connection is the most common connection method in the industry. This allows workers to connect cable leads, similar to jumper cables, to the line or pipe to be located and generate an alternating current down the cable or pipe. The only issue with this method is gaining access to facilities. 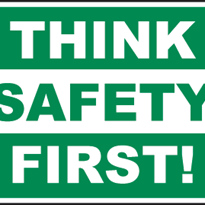 If you are not a contract locator or subcontractor for the telephone company, you cannot legally open up a telephone pedestal and clip onto the line. To overcome this challenge, contractors can use a locator with good inductive capabilities. Inductive locators induce the signal into the product. The inductive method requires the user to set the transmitter on the ground. A signal radiates down through the ground onto the cable and eliminates the need to connect clamps or coils to the line or pipe. While locator technology has not changed much in the past five years, several manufacturers are adding enhancements to help provide a clearer signal and tie the locates to GPS coordinates. Virtually all manufacturers are putting more power into their utility locators. While this extra power does not enhance the accuracy of the unit, it does provide a clearer and higher-quality signal. Many manufacturers have also made advancements in their receiver software to help filter out the extra noise in the ground and air, helping to provide a more accurate signal and reading. The other trend occurring in the industry is linking the locator with GPS devices and mapping the utility line with latitude and longitude coordinates, thus providing an accurate location of the line for future reference.